The Smoky Mountains have some of the best shopping in the country. If you are staying in a rental cabin, then a short ten minute drive will put you in the middle of all the shopping action. You will find everything from designer clothes to tools to sunglasses all at great prices. Ladies know that shopping is the real reason to visit the Smokies, but you might want to check-in to an affordable rental cabin while in town. 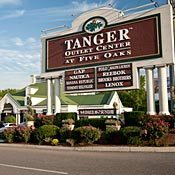 Don't miss Tanger Outlet in Sevierville for the best shopping in the area. If you want it, they probably have it ladies. 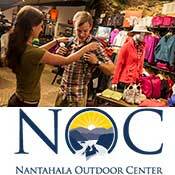 See our guide to Smoky Mountain shopping for more details. The Village Shops ? 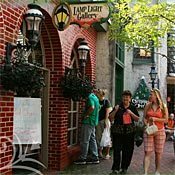 27 Unique Boutiques, Clothiers, Eateries and Galleries in Gatlinburg, TN. For Gatlinburg Shopping at its best, The Village is the place to shop, eat, relax and enjoy! Just past stop light #6 on the Parkway in Gatlinburg, adjacent to the Pancake Pantry, lays one of the Smokies most unique destination shopping experiences in Gatlinburg near Pigeon Forge, TN. Here you will find a collection of 27 unique boutiques, eateries, galleries and clothiers set in a quaint European village atmosphere right near the entrance to The Great Smoky Mountains National Park. Pigeon Forge Factory Outlet Mall, also known as the "Red Roof Mall," is one of the ORIGINAL outlet malls of Pigeon Forge Tennessee. A 196,900 SF Outlet Mall at stop light # 4, located in the heart of Pigeon Forge, TN. Our stores offer a variety of products and factory outlet experiences. From designer brands to one of a kind hand crafted gifts to books and and furniture, we have it all for low prices you can't beat. 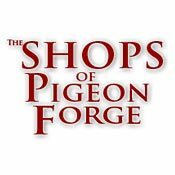 The Shops of Pigeon Forge offers easy access just off the parkway at lights number 2 and 3 as well as ample parking. Enjoy great shopping as you stroll our covered sidewalks, take in the magnificent view of The Great Smokey Mountains from our garden patio area while enjoying the tranquil sounds from our fountain and of course take advantage of our clean restrooms. Pick up your complimentary coupons placed throughout the center for your convenience. Welcome to Tanger where shopping is Guilt-Free. You'll love to shop the nation's leading designer and brand name stores with the widest selection of today's favorite fashion trends, all in a fun, family-friendly environment. 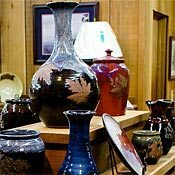 Alewine Pottery is located at 623 Glades Road, Gatlinburg, Tennessee. This local artist produces some of the finest pottey in the Gatlinburg and the Smoky Mountains. 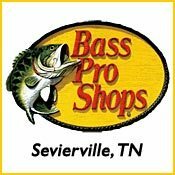 Bass Pro Shops in Sevierville, Tennessee is one a shopping attraction. This huge outdoor store has everything you might need for your next hunting, fishing, camping, boating, or backpacking trip. Located just off I-40 at exit 407, we are convienent on your way into or out of Pigeon Forge on your next vacation. Copyright © 2019 Stone Oak Web Design, Inc and www.smokymountainsrentalcabins.com. All Rights Reserved.